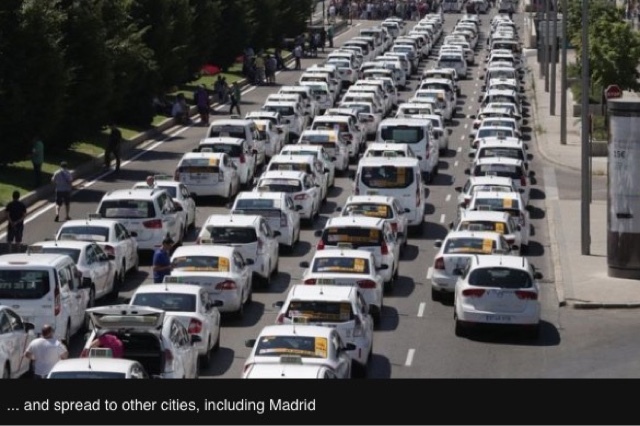 Thousands of Licensed Taxi drivers across Spain have joined a strike against ride-hailing companies like Uber, demanding the government restrict their numbers. 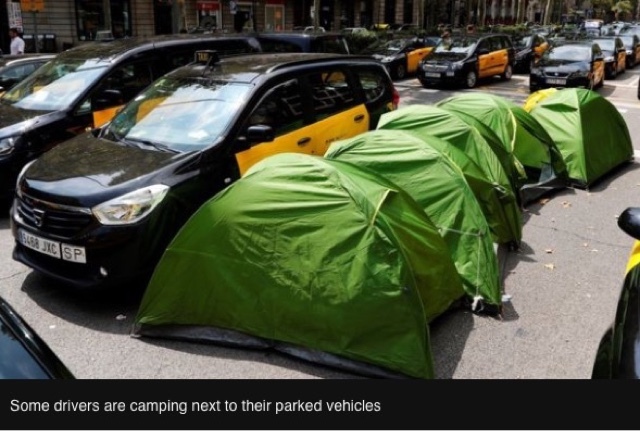 The striking taxi drivers, some of whom have been camping out for many days, say the services threaten their livelihood and are putting thousands of jobs at risk. 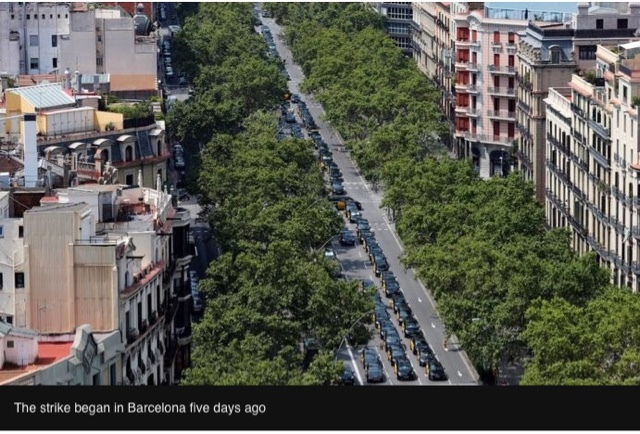 As a result, they have blocked main roads in the capital, Madrid, and in Barcelona with their parked cars. The meeting is due to resume later on Monday in the hope of finding a resolution. Union representatives said in a statement that "Uber and Cabify are putting the viability of the taxi sector and 130,000 jobs at risk", adding it "considers this unfair competition intolerable". 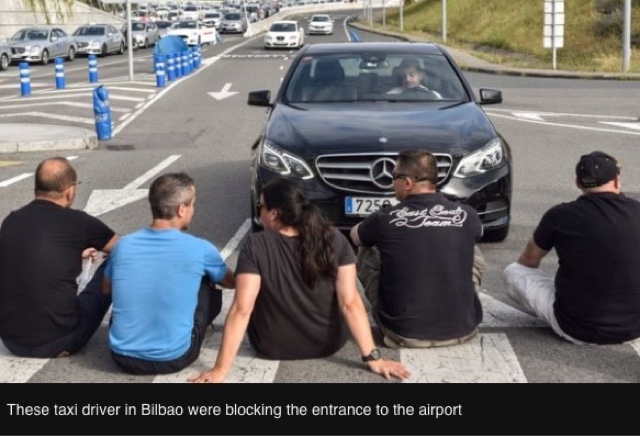 Madrid, Valencia, Bilbao and Seville are all following in Barcelona's footsteps and are calling their own stoppages, causing widespread disruption.